Hey you. Yes you. I’m looking at you. The one with the drumstick glued to your hand. Put.it.down. Now focus on the following picture. Good job. Just take some deep breaths. I know it’s easy to get sucked into the turkey leftover rut, but resist. And make the best tofu ever instead. Need even more convincing? It won’t take 10 hours to make, like that slightly disappointing, completely over-rated Thanksgiving Feast you are still trying to digest. All snarky Thanksgiving comments aside, this is truly the best tofu I’ve ever made, and possibly the best I’ve ever eaten as well. 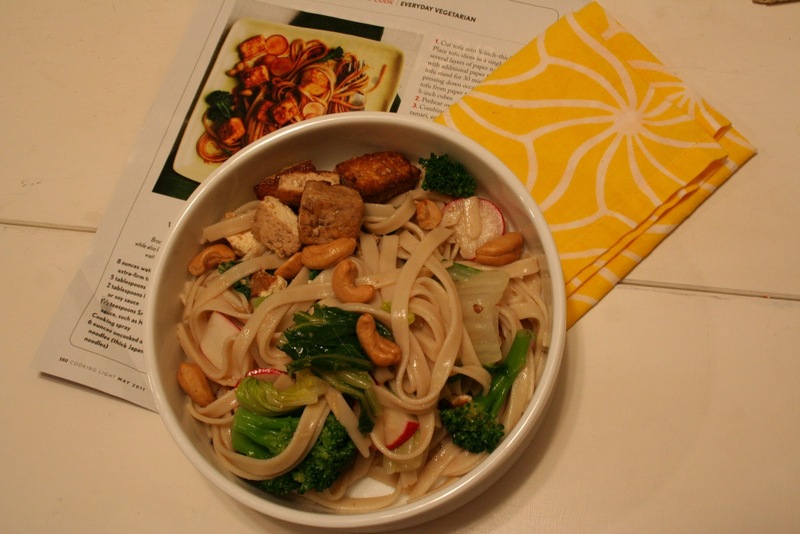 To make it, I basically followed this Cooking Light recipe for Udon Noodle Salad with Broccolini and Spicy Tofu, with a few modifications based on what I had on hand. In spite of the the fact that the tofu is mentioned last in the name of this dish, it is the real star. 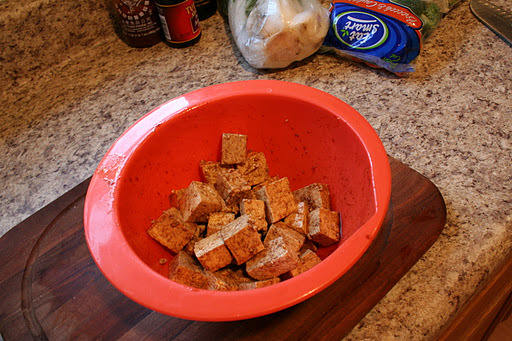 After pressing and cubing extra firm tofu, I marinated the cubes for ~15 minutes in a mixture of 2 tablespoons of sesame oil, 2 tablespoons of soy sauce and 1 tablespoon of Sriracha sauce. 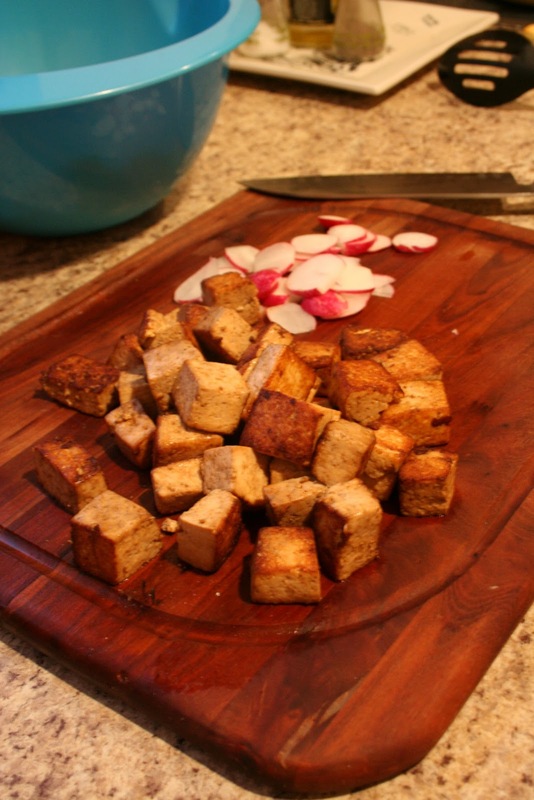 After the 15 minutes of soak time, I spread the tofu cubes in a single layer on a cookie sheet (coated with cooking spray as instructed) and roasted them for 10 minutes at 350 degrees F. (again, all per the recipe) When I pulled the tofu out of the oven it wasn’t even close to being crispy. And trust me, successful tofu needs to be crispy. I made the best decision of the day by cranking up a dry skillet to scoring hot and quickly searing all the cubes. Perfection. 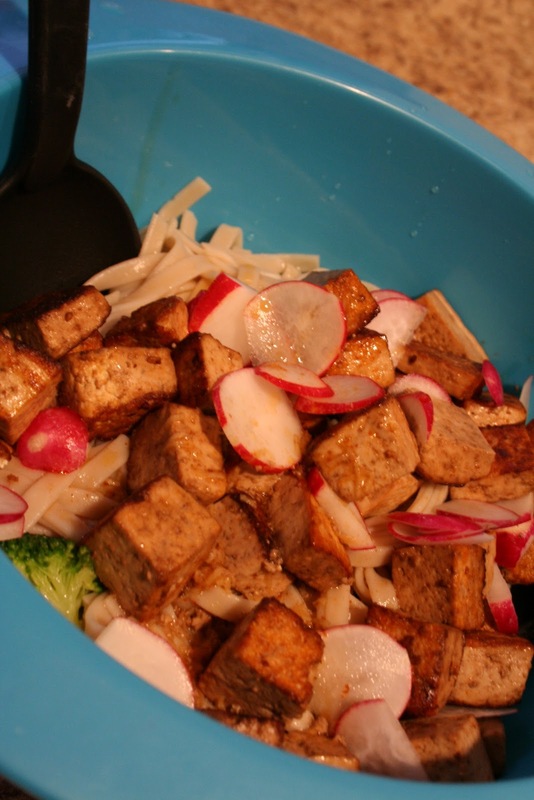 I will never make tofu any other way. And neither should you. Yes, I’m bossy, but I’m right. Blanch bok choy and broccoli (which isn’t scary at all…I’d never actually blanched anything before!) 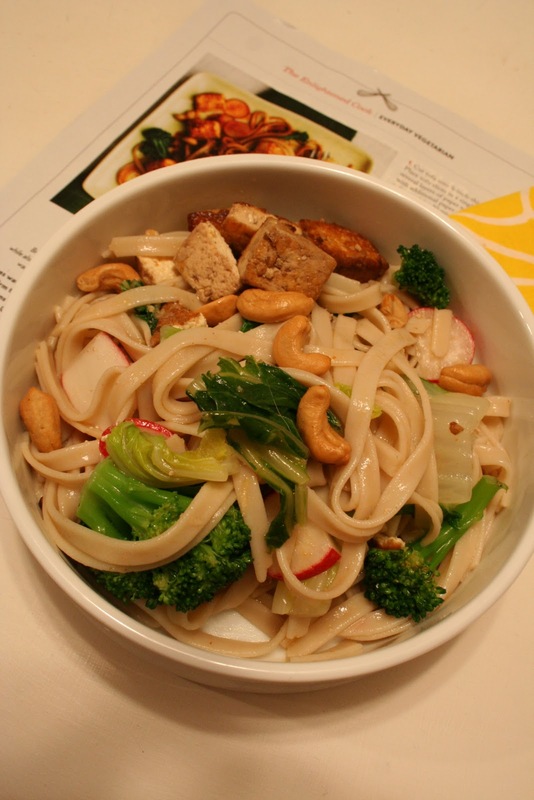 and toss with crisp radishes, crunchy cashews, tender noodles all dressed in the leftover marinade and a generous splash of rice vinegar. This totally beats a leftover turkey sandwich any day! PS. If you were wondering how I press my tofu? 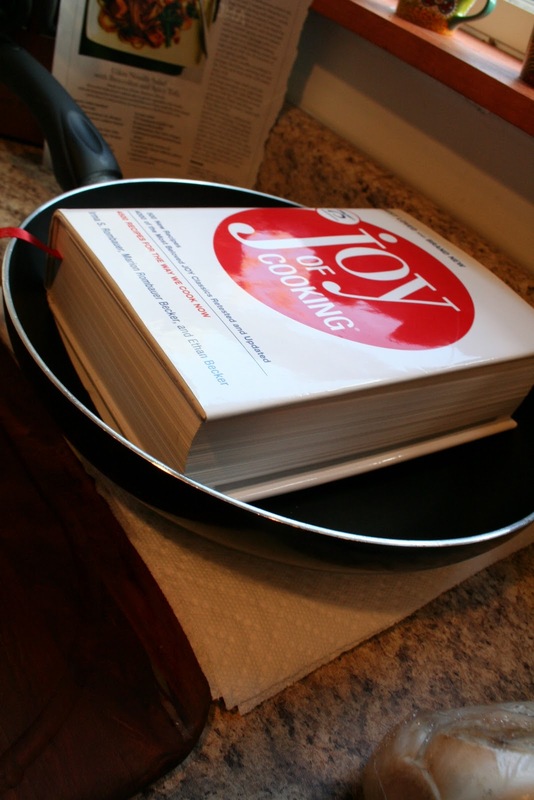 Well, good ol’ Joy comes in handy now and again! It started off so well. 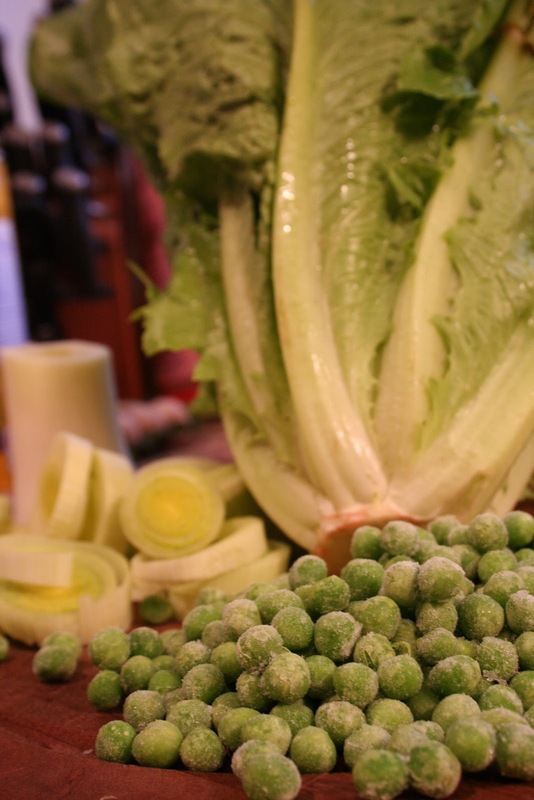 Cutie little leeks, beautiful romaine and sweet, if frosty, peas. Plus soup. Who doesn’t love soup? And this gal loves soup. 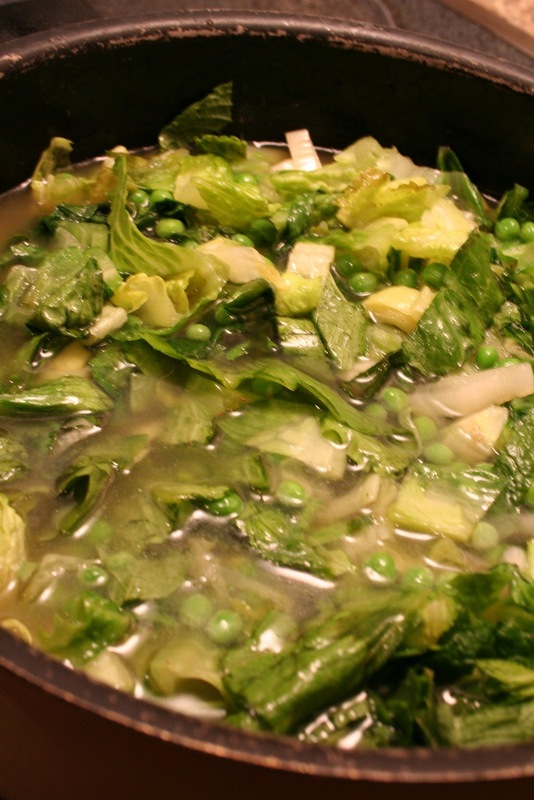 So, what could be so awful about Lettuce Soup? 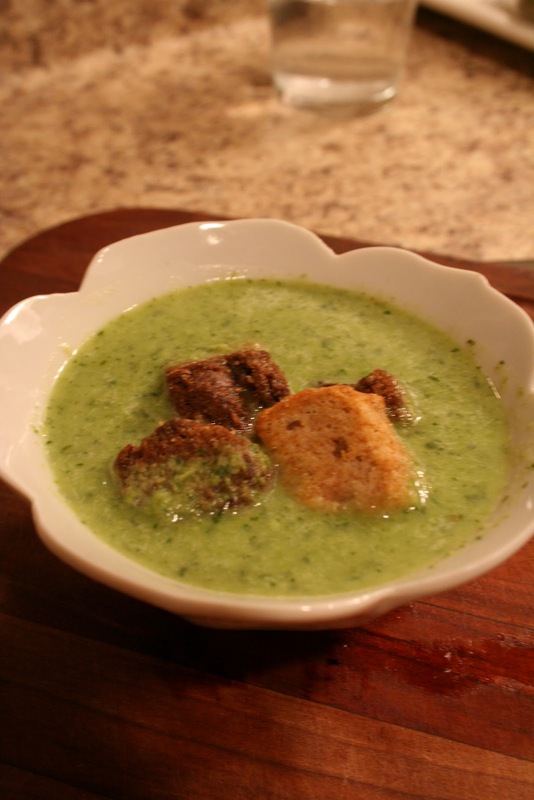 But as the greens began to simmer down in chicken stock, with an overly generous portion of mint, I began to have my doubts. (I was following a food dare recipe from Everyday by Rachel Ray) The aromas coming off this (ginormous) pot of green stuff wasn’t making my mouth water. It was more of a “dirty socks nose wrinkle” reaction. I should have known better. I don’t “do” dares. When playing truth or dare at slumber parties as a child “truth” was my go to answer. No freezing of my best friend’s brother’s undies for this gal. However, while I have no shame in being a cautious wallflower at times, I am very stubborn. So, I pressed on. 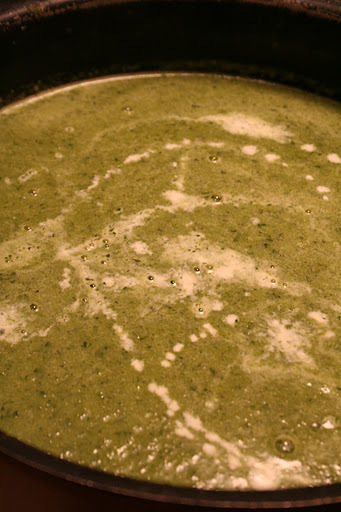 The lovely green and white vegetables became a baby vomit green after their trip to the blender…which I then tried to “richen” up with some 1/2 and 1/2 that hand been hanging out in my fridge. Still fooling myself, obviously. Nope. Not even garlic croutons couldn’t turn this whale of a fail around. I knew I should have stuck with my truth safety zone. Because no matter how pretty it all started, even when you blend up dirty socks with cream and mint, it still isn’t going to be winner, much less a chicken dinner. Now, does anyone want to come clean out all the leftover lettuce soup from my fridge? I never was a fan of dirty socks. Or mint. ugh. This little thief has been at it again. I love the hot Lima Bean and Tomato “salad” at the Whole Foods bar, but I’m usually too busy woofing them down my gullet to be discerning with my palate and figure out which flavors make this dish so delicious and comforting. Thank goodness Krissy of Make it Naked is a slower eater than me. She already had these WF beans all worked out and ready for home kitchen cookin’. So I did what any self-respecting food whore would do. I stole her recipe. Which she stole adapted from the Whole Foods bar itself. Hence why I’m worse than your average thief. I’m a low-life, and incredibly well fed, double thief. 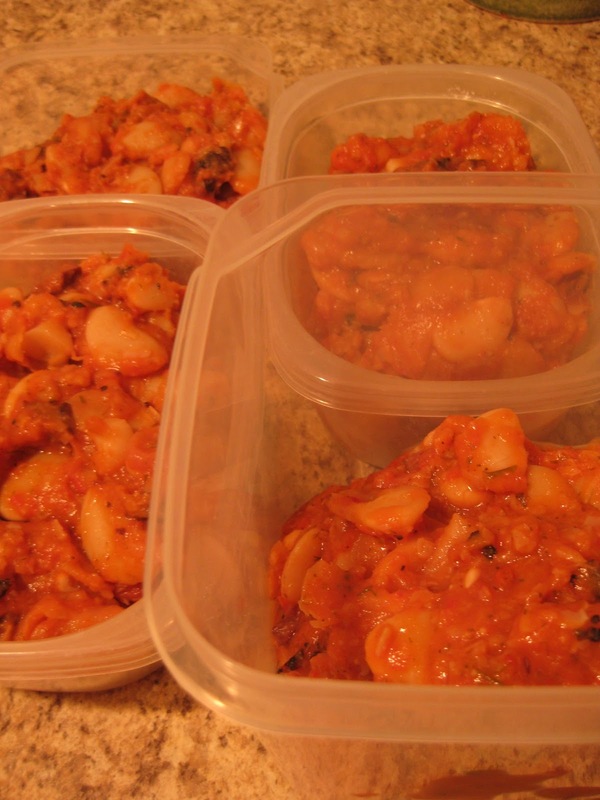 So, to make this batch of Tomato-y Lima Beans I followed Krissy’s Large Lima Beans in Tomato Sauce pretty much to a tee. My only tweaks: I didn’t have any parsley on hand (sniffle) and I used fire roasted tomatoes, for an extra kick! And maybe all the wrong proportions? I swear this batch of beans was reproducing right there on my stove! The nerve! Um, yes. Your eyes are not deceiving you, that is 4 massive Tupperware containers of beans. Oh and this was after I had a giant meal of them and took some to my parents, too. Sheesh. And what is a girl to do with a never ending supply of soft and flavorful, protein packed giant limas? 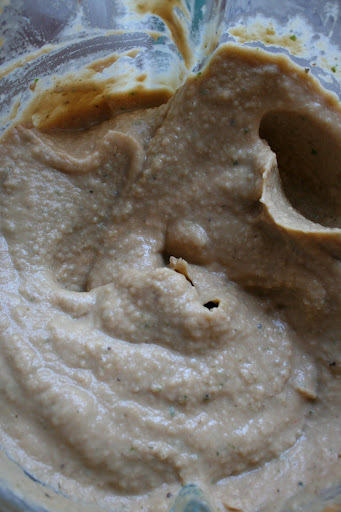 Make Lima Bean Hummus of course! What have you stolen for your plate lately? I really shouldn’t allow myself to go on Facebook on Sundays. See, everyone seems to be out to Brunch, having a Sunday Funday or lazing by the pool. But not me. Because I had this crazy idea to become a teacher three years ago. So, instead of savoring bloody mary’s lake side with my pals, most of my Sundays are consumed by lesson planing, grading and prepping for labs for the upcoming week. And yes, I do love my job, because I love my students. But I won’t lie, I get a little mopy, and resentful on Sundays. Because I would rather be reading, or writing a hundred other blog posts, or sunning by the pool, or testing a new recipe or out riding my bike-training for my upcoming triathlon in October. 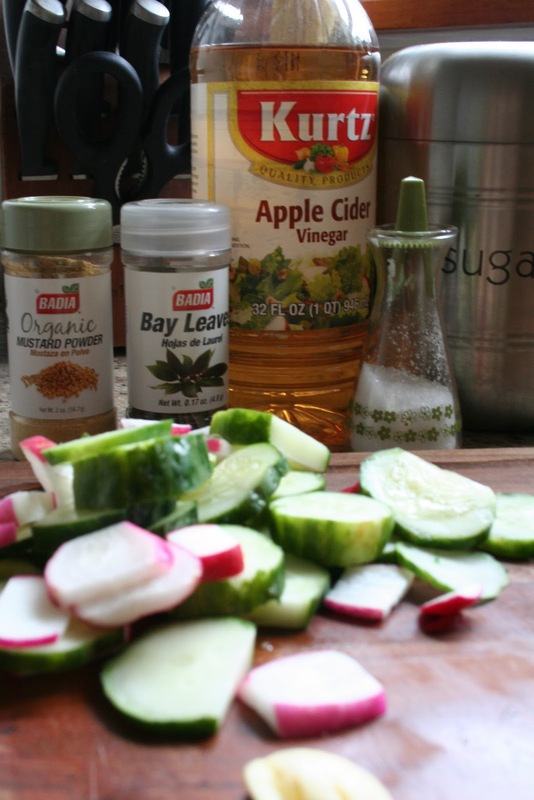 Wait, maybe I do have time to test a new recipe after all, and if you have about 15 minutes to spare on your Sunday Funday, you can make these Quick Apple Cider Pickles too. I’ve been reading a bit about pickling recently and figured no time better to venture into the world of salt and vinegar than the present. That and I had some cucumbers and other veggies on their way out in my crisper drawer. 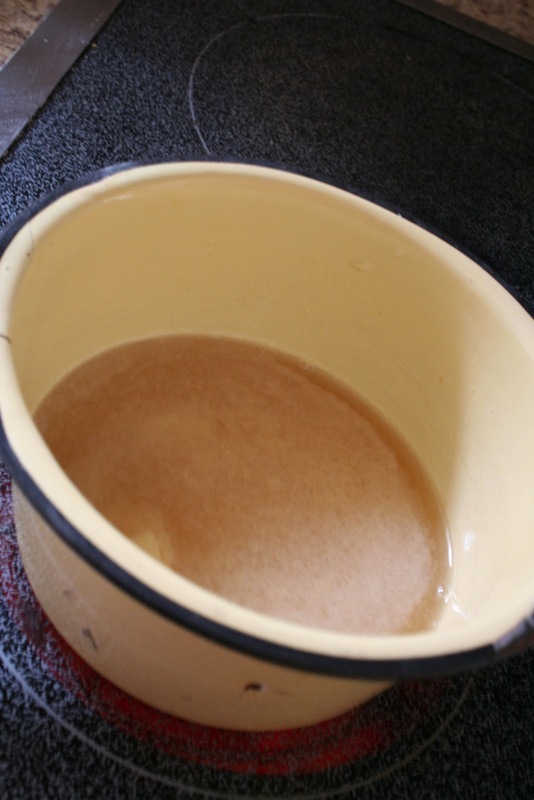 First, bring the contents of the brine to a simmer in a small sauce pot, stirring occasionally to ensure all the salt, sugar and mustard powder are dissolved. 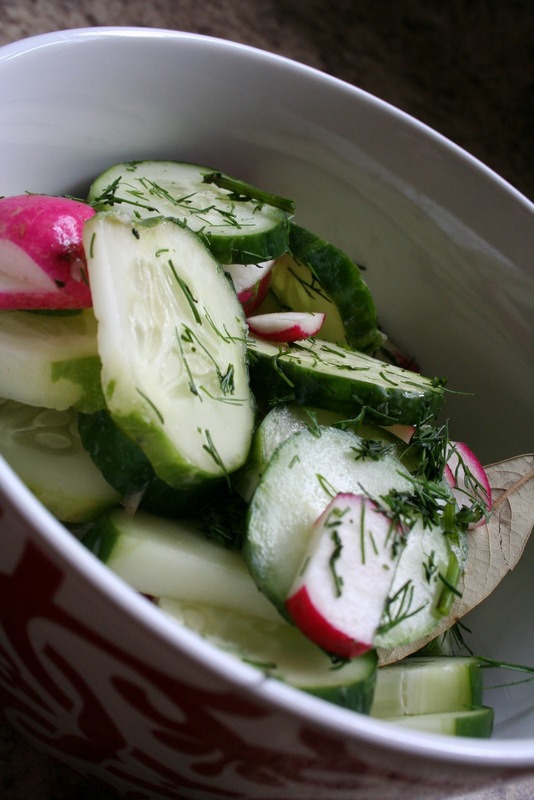 Meanwhile, toss the veggies in a nonreactive, heatproof bowl, with the dill and bay leaf. 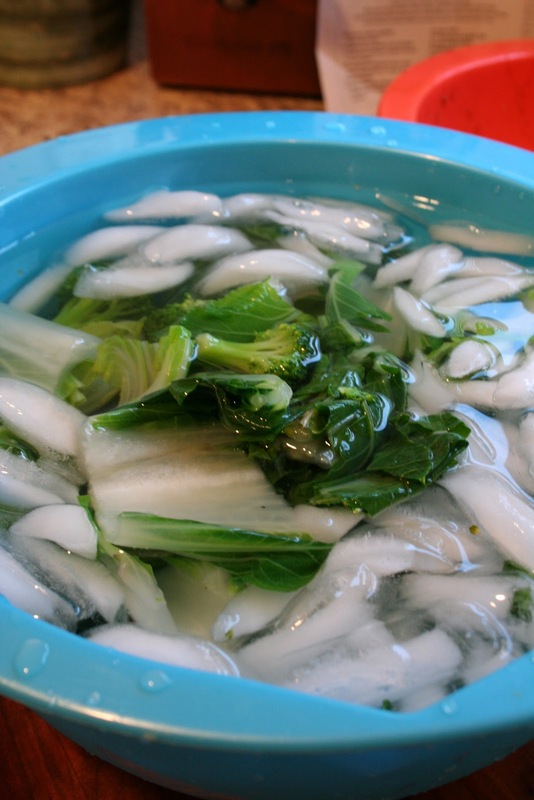 Remove the brine from the heat and pour into the veggie bowl, ensuring all the contents are covered with the brine. 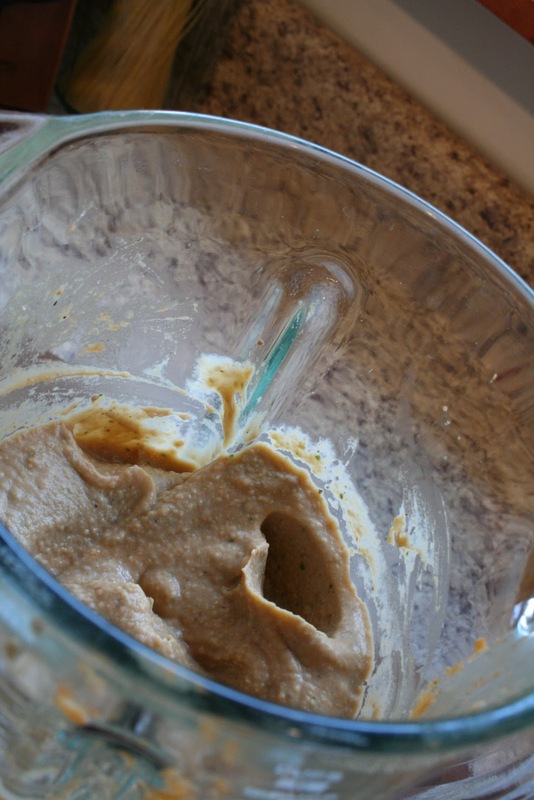 Cover and refrigerate for at least one hour before enjoying. 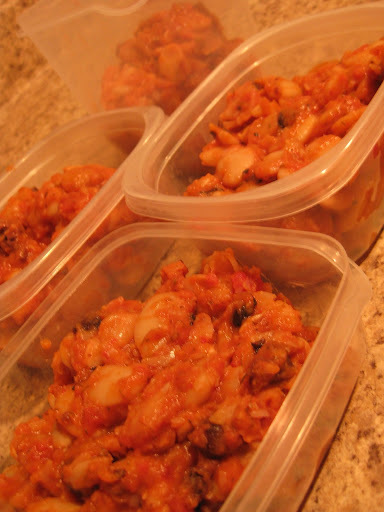 Store in a covered container with the brine for up to 2 weeks, if they last that long! 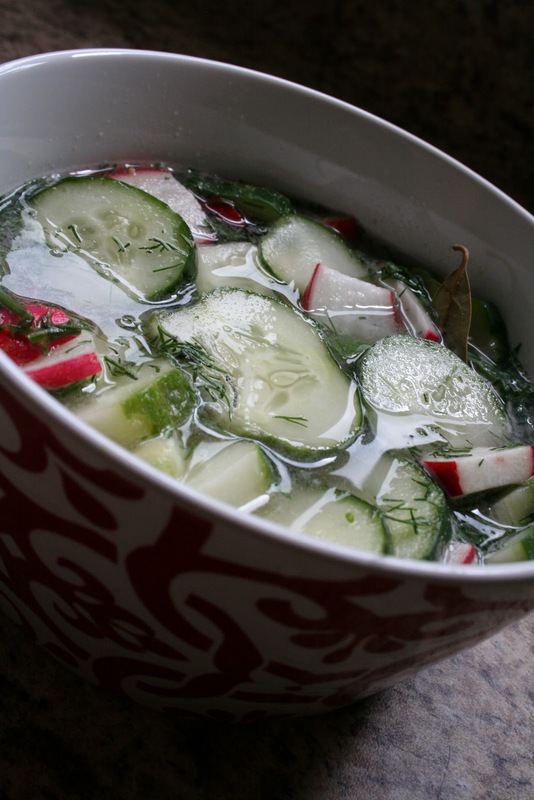 So there you have it; Sunday pickles in a snap! If only my lesson plans came together so neatly. Needless to say, one of my favorite things to do when I’m traveling is to hit up the Whole Foods hot and salad bars. I adore loading my recyclable fiberboard box with a bed of mixed kale, then layering in grain salads, tofu Waldorf salad, Indian spiced chickpeas, snow peas, cold hard boiled eggs, ahhh. And my “salad” typically ends up weighing nearly 2lbs! aka 20 bucks, ouch. I guess it’s a good thing I live so far away from my beloved WF. I had a revelation the other day, that I could make many of my favorite WF hot bar dishes at home, so I’m starting yet another mini series on this little bloggie poo: Stealing From Whole Foods which will be apart of my Expanding my Repertoire challenge to myself to cook something new every week (or so). I decided to start out simple. 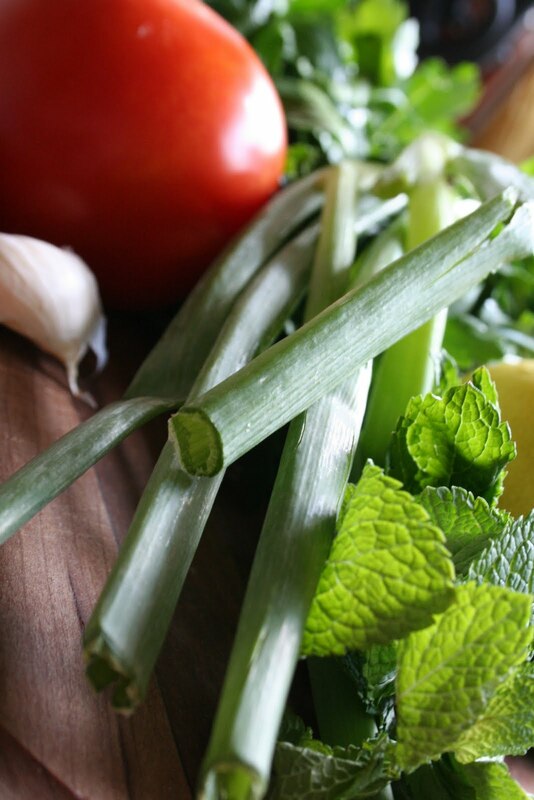 Tabbouleh. A Mediterranean classic and a perfect take along to a summer picnic or party. If you too are trying to expand your cooking repertoire, cut back on your Whole Foods bills or just like beautiful fresh herbs tossed with lovely, chewy grains, follow along. 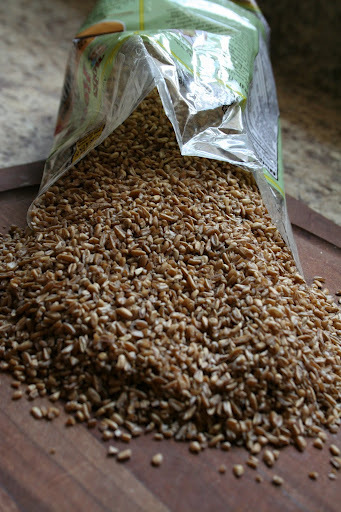 Start with gorgeous bulgar wheat and cook your desired amount* according to the package. 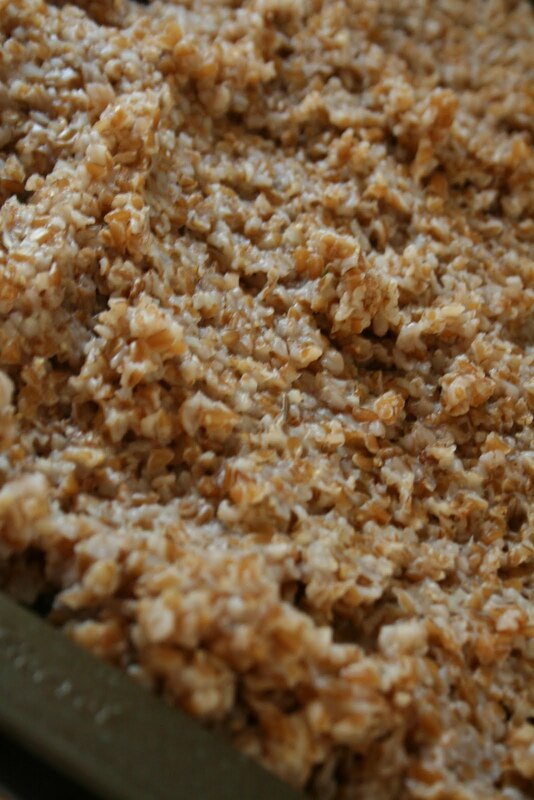 After the grains were cooked and drained, I spread them out to cool on a cookie sheet, this is quite optional. 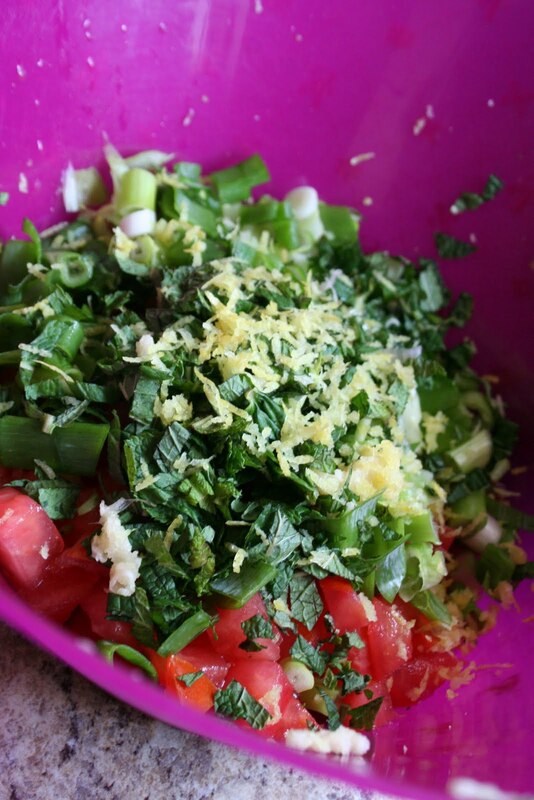 *I just eyeballed 1.25 cups uncooked to make a large batch of tabbouleh to take to a party. 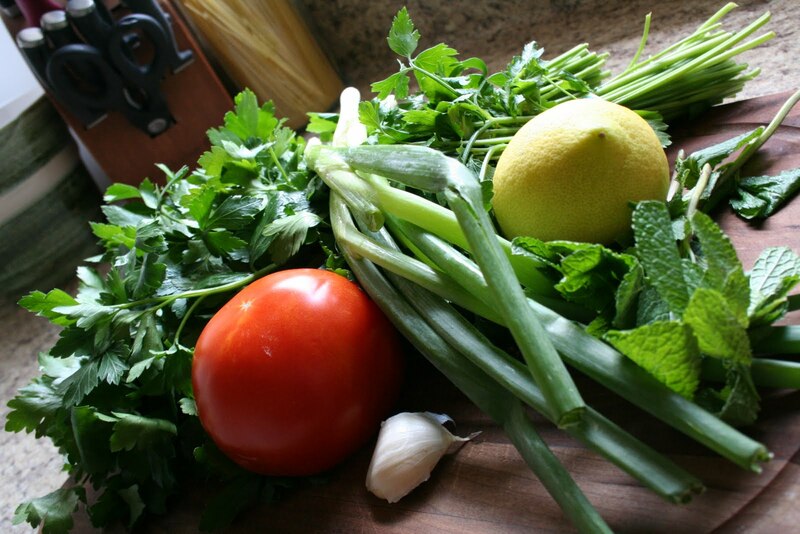 Chop, dice, juice and zest lovely parsley, green onions, tomato, garlic and lemon. 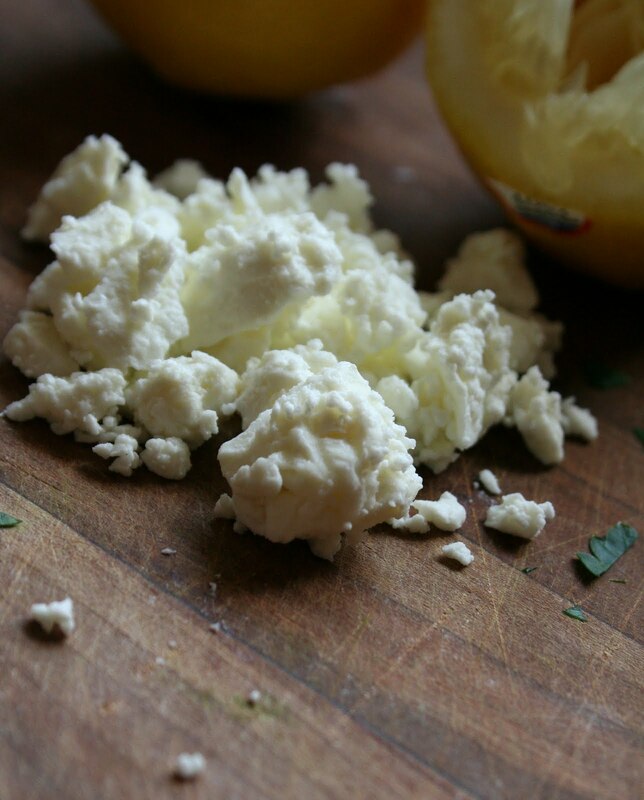 Toss the veggies and bulgar together with the pièce de résistance: feta. 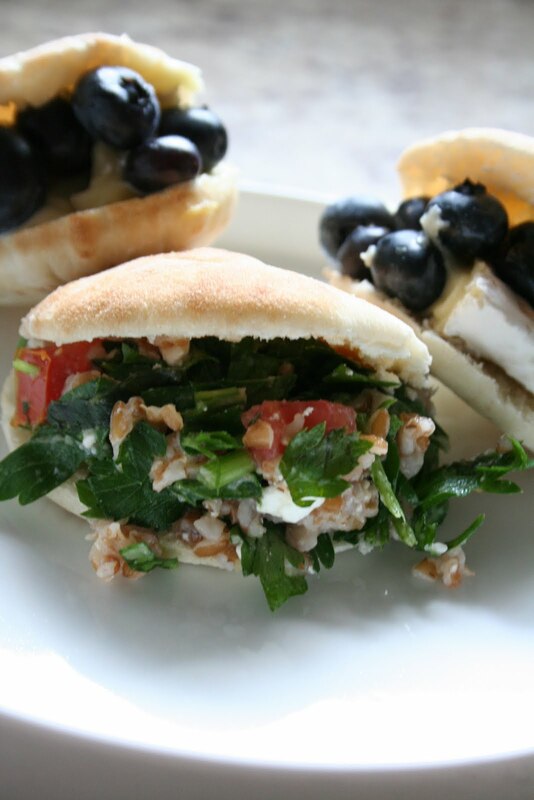 Stuff into a mini pita, with some accompanying blueberry/brie bites. Yummmmm. Based on this first attempt at stealing from the Whole Foods bar, I think this is going to be a very successful heist venture.